If you haven’t removed and replaced OneDrive in Windows 10 with an alternative service How to Disable & Replace OneDrive in Windows 10 How to Disable & Replace OneDrive in Windows 10 OneDrive is deeply integrated in Windows 10 and Microsoft might tell you that removing it is not possible. Well, not unless you're willing to dig deep. We show you how to extract OneDrive from Windows... Read More , you’re probably enjoying the benefits of keeping your documents in the cloud instead of only on your local machine. If you have a large amount of initial data to sync to the service or frequently upload large files to OneDrive, you might be concerned about how much data this is using. Whether you’re on a limited connection and want to conserve your data or you don’t want OneDrive sucking up all the bandwidth when you’re trying to binge-watch Netflix The Pros and Cons of Binge-Watching Television The Pros and Cons of Binge-Watching Television Binge-watching is a recent phenomenon that pretty much everybody has done thanks to Netflix, Hulu, and Amazon Prime. But for all of its various pros, it does also have some cons. 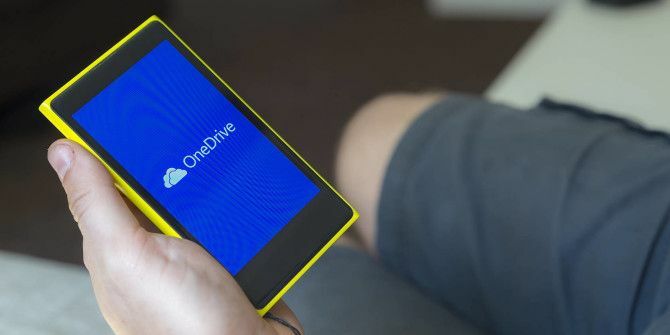 Read More , you can easily tell OneDrive the maximum speed that it’s allowed to transfer files. This feature is available right now if you’re running the Windows 10 Insider preview, and coming soon for everyone else in Windows 10’s Anniversary update Windows 10 Anniversary Update Due in July & These Are Its Best Features Windows 10 Anniversary Update Due in July & These Are Its Best Features You will love the Windows 10 Anniversary Update! The second big upgrade to Windows 10 since its launch in July 2015 is expected this summer. Here we highlight the most exciting features. Read More . Find the OneDrive icon (a blue cloud) in your System Tray located at the right side of the Taskbar. If you don’t see the icon, OneDrive isn’t running; just press Start and type OneDrive to launch it. Right click on the icon and choose Settings. In the new Network tab, you’ll be able to choose to allow an unlimited transfer speed, or specify an amount in kilobytes per second. If you’re not sure what you should set this value at, run a Speed Test and see how fast your connection is, then decide what percentage of that connection you’re OK with OneDrive using. Try an online converter if you need help converting KB/s to MB/s or some other unit. When working, you don’t want OneDrive to use too much of your connection, or it will affect the performance of other processes! Do you like having the ability to limit how much bandwidth OneDrive uses, or do you prefer to let it do its thing? Leave a comment and have your say! Explore more about: Microsoft OneDrive, Windows 10.